Meet the beautiful Tasha and Sheba! 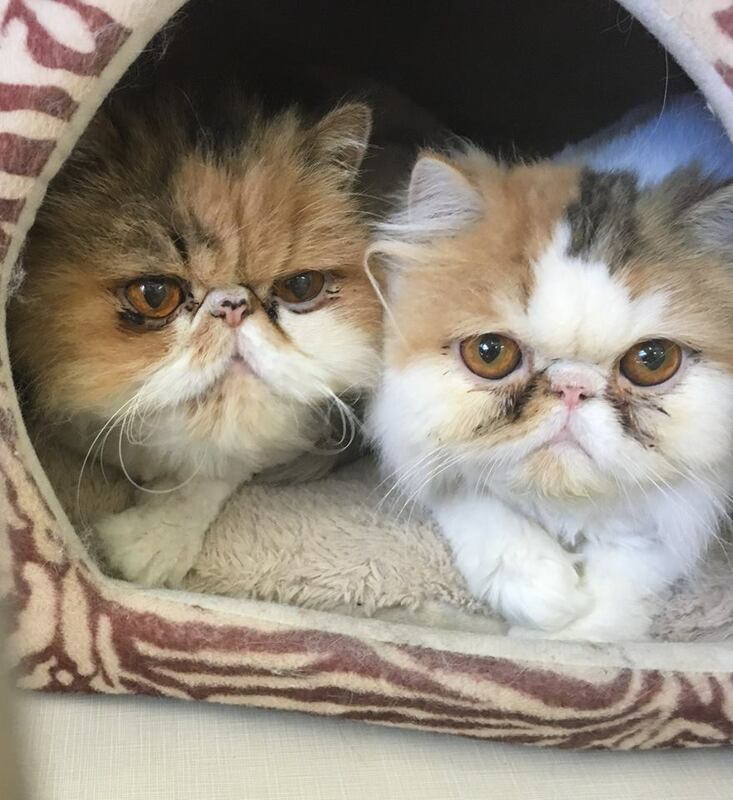 These Persians are a friendly pair who enjoy each other’s company and are a bonded pair. Tasha is more on the shy side and prefers gentle interactions. Sheba is the more outgoing of the two and likes to explore and play. Tasha and Sheba must be adopted as a pair. If you would like to meet this lovely duo, you can visit them at our store location at 38 Barberry Road.